We are born with the desire for adventure. When we open our eyes for the first time we curiously scan the new world full of colors, tastes and smells. Intense curiosity extends into our early years encouraging us to test our limits, learn quickly and to make many mistakes. We play, take risks, and are innocently mischievous. Unfortunately this urge to seek out the unknown and to take these risks some how withers away as we grow up and become what we call “educated”. We are told, “Don’t touch that,” “You’re going to hurt yourself,” or even “Behave” through out our lives. For many, seeking adventure becomes more of an idea and less of a reality by the time they reach adulthood. Luckily, for most we have a trigger that calls us out of our comfortable routines and into a new adventure of our own; whether it’s a new stage in life, or a new trip. Many of us can even pin point an exact moment that their true adventure started. All adventures have a start, but not necessarily and end. I would like to think of myself as someone who has always sought out adventure, but in truth I’d be kidding myself. 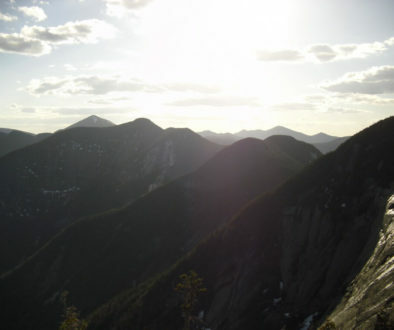 Winter hiking, rock climbing, and even summer hiking along cliffs used to make my knees wobble. I couldn’t even make it up a fire tower on Blue Mountain without shaking uncontrollably. Everyone has a point in time where they can say their true adventure started, whether it was at birth, a major life milestone or a start of a large hike; mine however was when Kolby and I first met. Kolby and I met at a dormitory floor volley ball game put on by our RA at Clarkson University. Back then, I was strictly a cross-country runner, and he was strictly a baseball player. At that time neither of us foresaw the future adventures that we would share together nor how much we would change and grow. One chilly November morning Kolby, some friends and I set out for our first hike up an Adirondack High Peak to start a goal of completing the 46 ADK High Peaks. 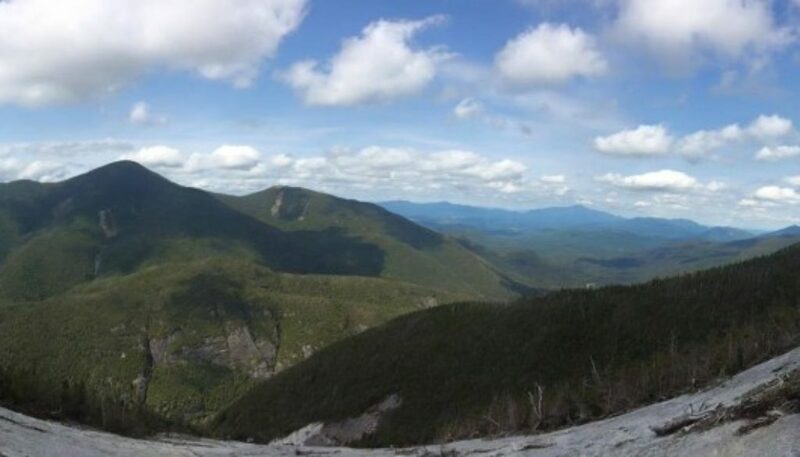 We chose Cascade and Porter for the obvious reasons that makes the two peaks the typical, and popular, beginner hike in the High Peak Region in the Adirondacks. We were completely stoked to snag our first two high peaks and, as we found out a little while later, completely ill prepared. 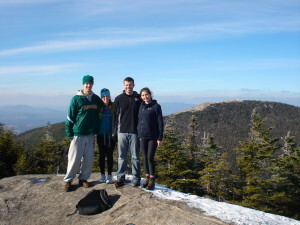 Kolby, Catherine, Walter and Sarah at the first look out on Cascade Mt. Yes, Clarkson had green grass and 50 degree weather (it’s hard to believe), but Cascade had 30 degree weather and lots of ice. Stepping onto the trail we slipped and fell our way to the top of both peaks in work boots and sneakers; staring at the more seasoned hikers’ feet we quickly realized that we should probably invest in a pair of microspikes. 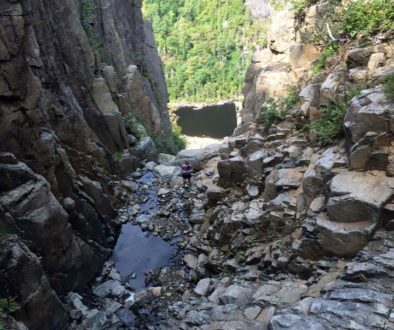 After the humbling hike up Cascade and Porter, we jumped with both feet into a whirl wind of researching gear and learning everything there is to know about hiking in the Adirondacks. We bought books, gear and took countless trips to the Mountaineer shop in Keene. The outdoors became the focal point of our lives. We worked hard all week to get away for a few days to the mountains. 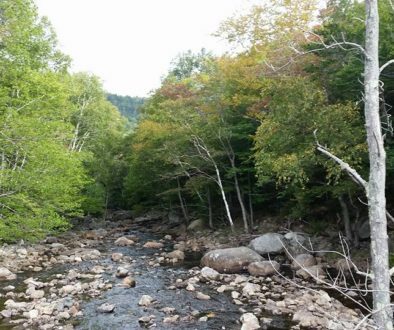 While many times we still learned the hard way, we started becoming seasoned hikers at an accelerated pace. Within our first year we gained Fall, Winter, Spring and Summer experience. We joined the Outing Club at Clarkson University and soon picked up ice/rock climbing, kayaking and winter camping. By the end of our first year of hiking we were hooked for life. Hiking brought the two of us to a new level. We put ourselves through both physically and mentally tough situations. 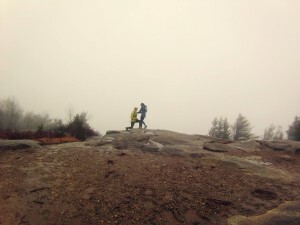 We hiked through blizzards, sleet, hail, rain, and even the occasional sunny day. No matter what, at the end of the day we never could have thought of something better to do during that time. When the idea for 46Climbs came about, Kolby and I threw ourselves into training. 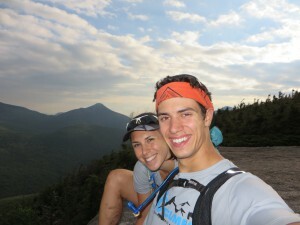 We ran countless miles up an down the high peaks and pulled upwards of 40 mile days. Yes, trail running hurts, but we loved the burn in our calves and how the sport brought the two of us to a higher level of understanding of each other and of ourselves. We didn’t finish our goal of hiking 46 peaks in 7 days in September 2014, but we learned how strong the two of us are together. Kolby showed me that I still have adventure in me, and I’m pretty sure without him I would have continued to live within my limits of comfort. Needless to say when this Christmas Eve rolled around and Kolby asked me to marry him, there wasn’t a single doubt in my mind. So here’s to a never ending adventures, and to pushing our limits together for as long as we are on this Earth.